"I spent my entire life looking for this Pokémon, and I finally got it!" "What did you get?" "A Rattata." Attack 2 : Go, Poke Ball! 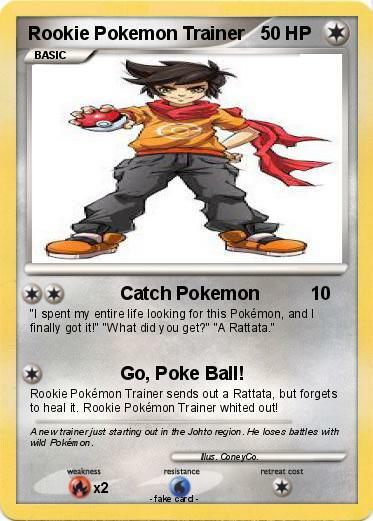 Rookie Pokémon Trainer sends out a Rattata, but forgets to heal it. Rookie Pokémon Trainer whited out! Comments : A new trainer just starting out in the Johto region. He loses battles with wild Pokémon.